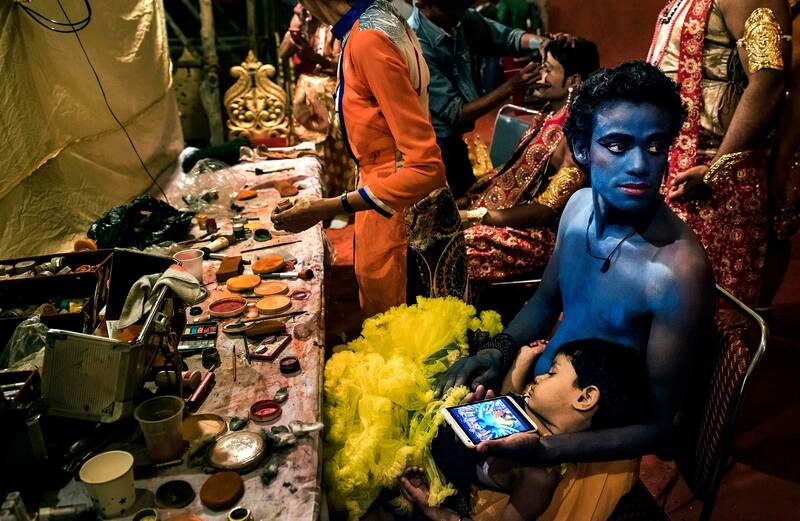 Moushumee is an accomplished photo artist whose sensitive frames capturing people, culture, street life has been appreciated by photographers, designers and creative professionals. 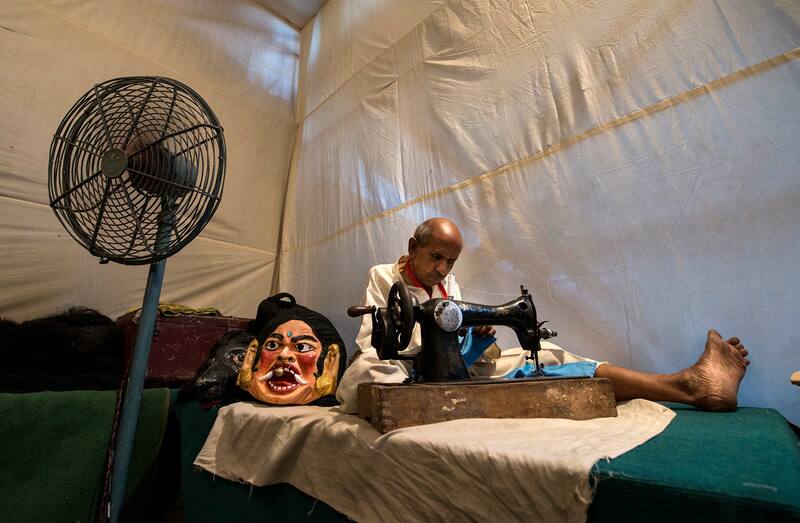 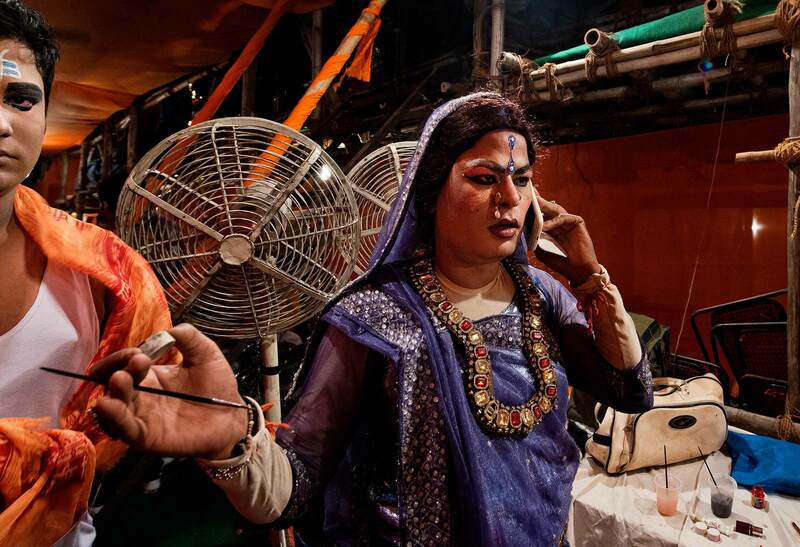 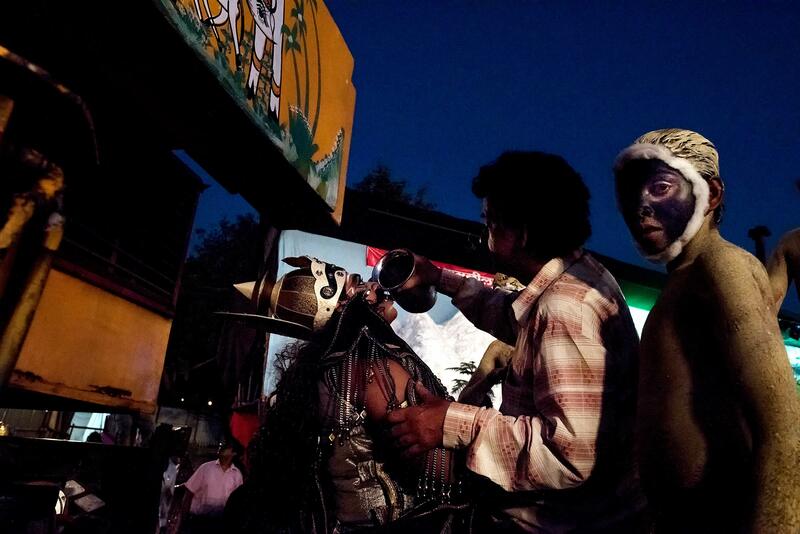 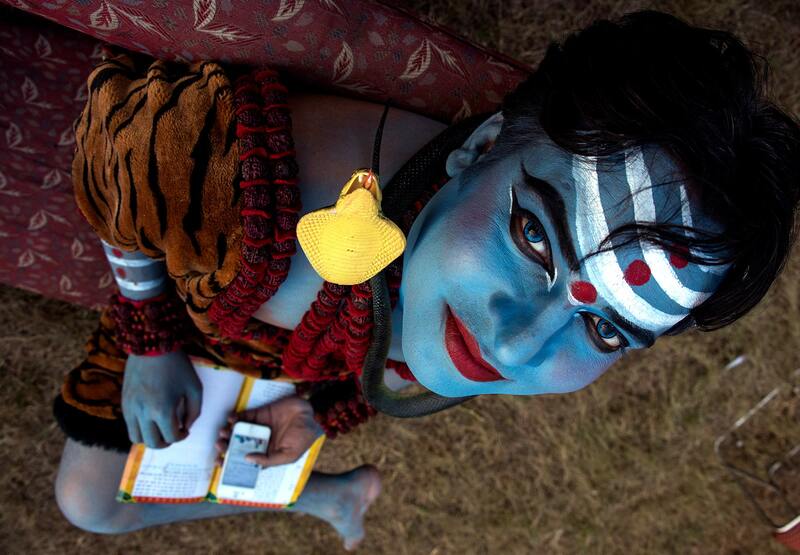 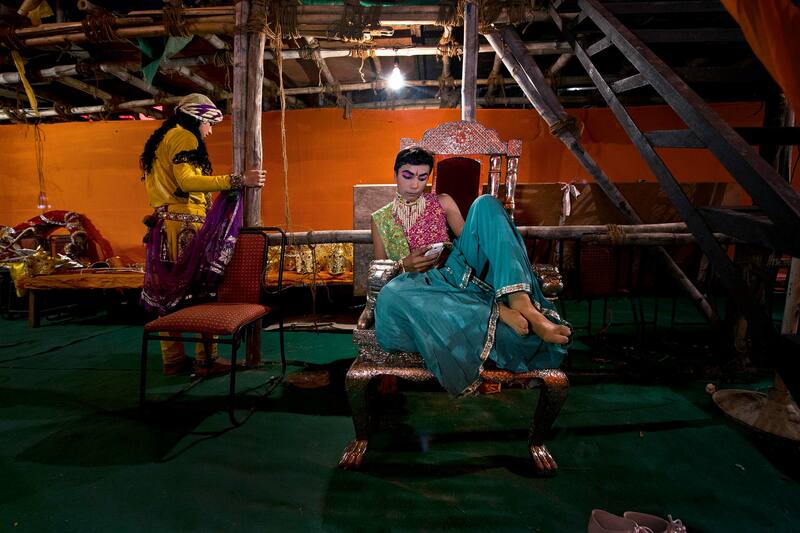 She brings her experiences as theatre actor and rich cultural lineage to her photography. 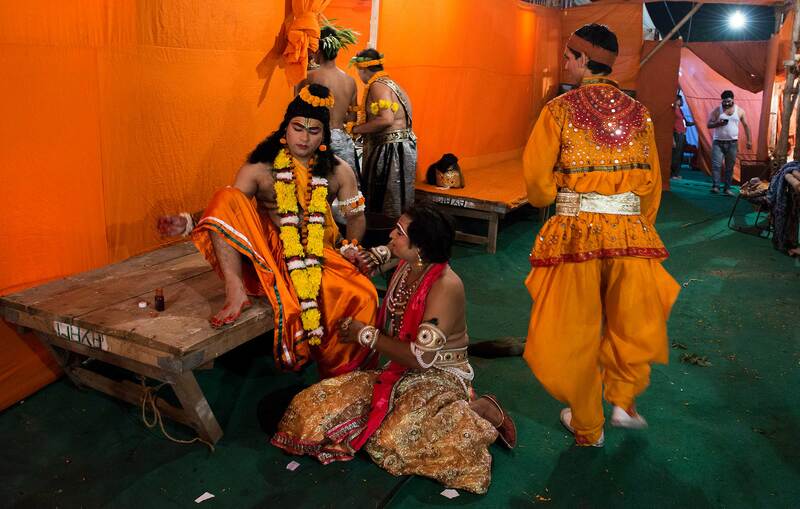 She has published 3 books on her work and is currently working on a 4th book on widows of Vrindavan & Varanasi. 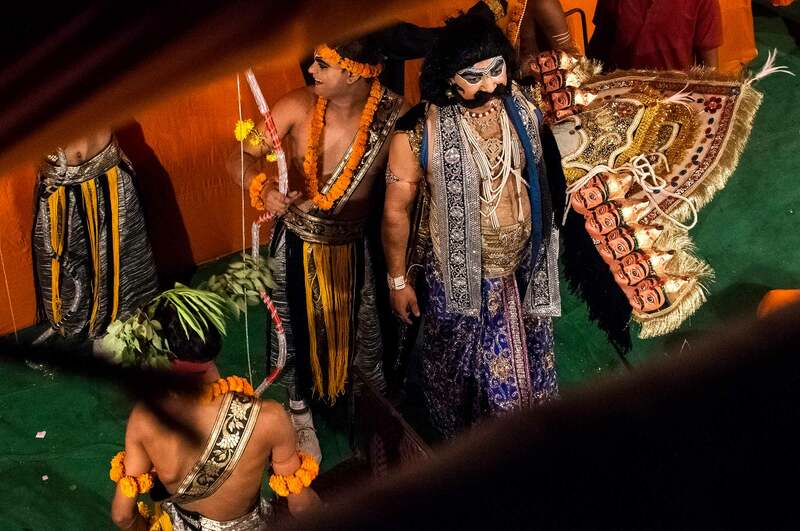 The Ramlila is a dramatic enactment of the life of Rama, considered an avatar of Vishnu and the hero of the ancient epic, the Ramayana. 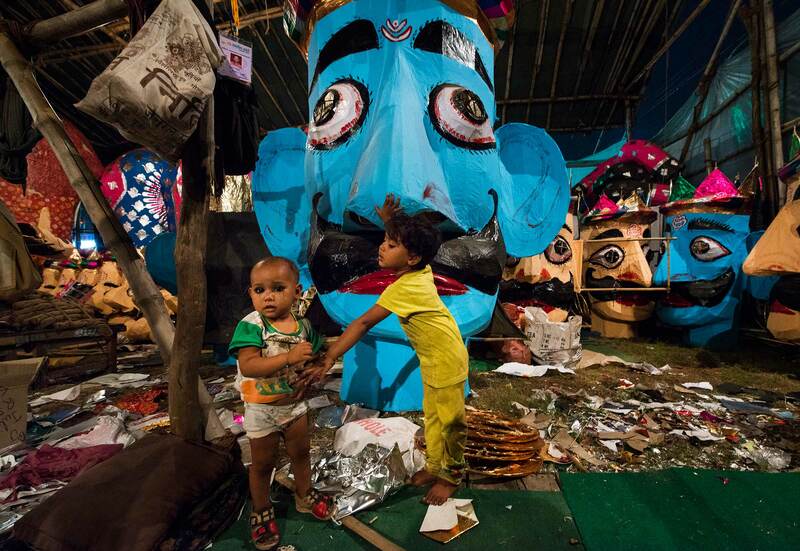 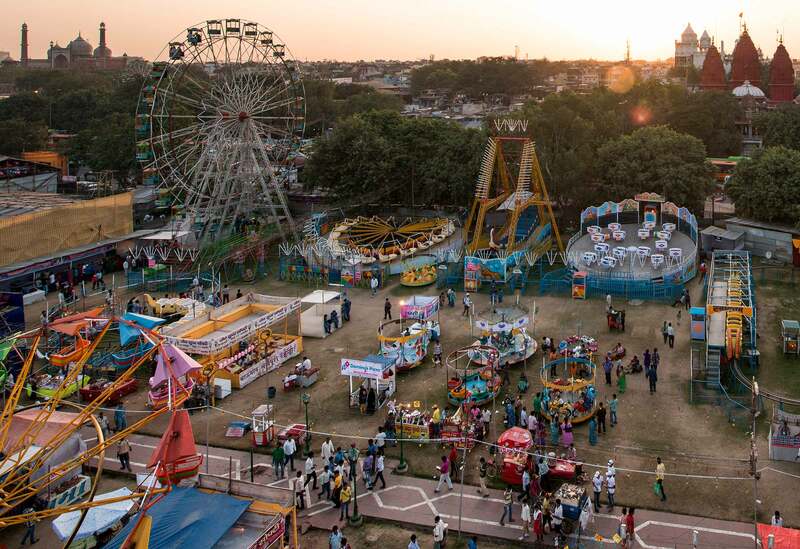 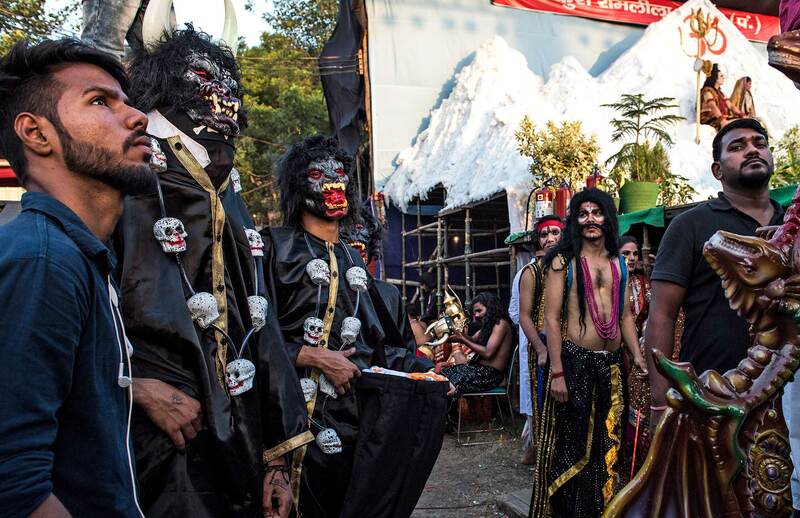 The Ramlila is performed during the 10 days preceding Dusshera and ends with the burning of huge effigies of Ravana, the chief antagonist of Rama, thus signifying the victory of good over evil. 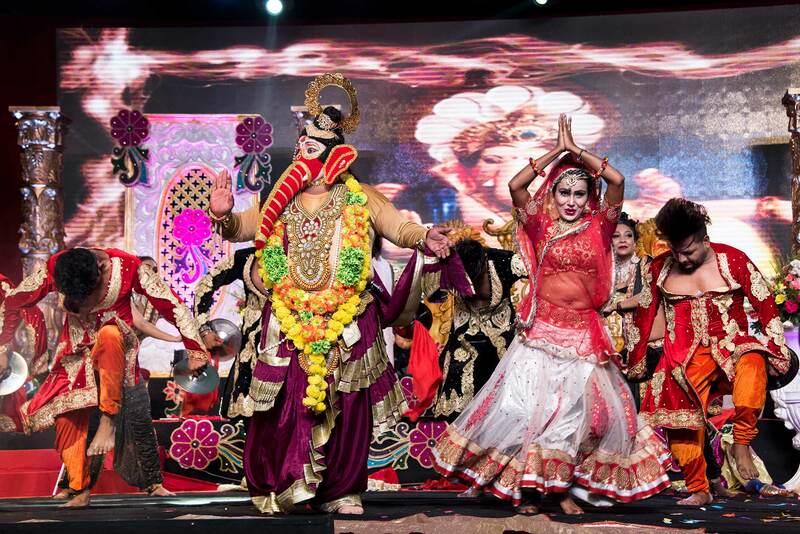 Luv Kush Ramlila Committee (LKRC), one of the biggest and most popular Ramlila organisers in Old Delhi, started organising Ramlila shows in 1988. 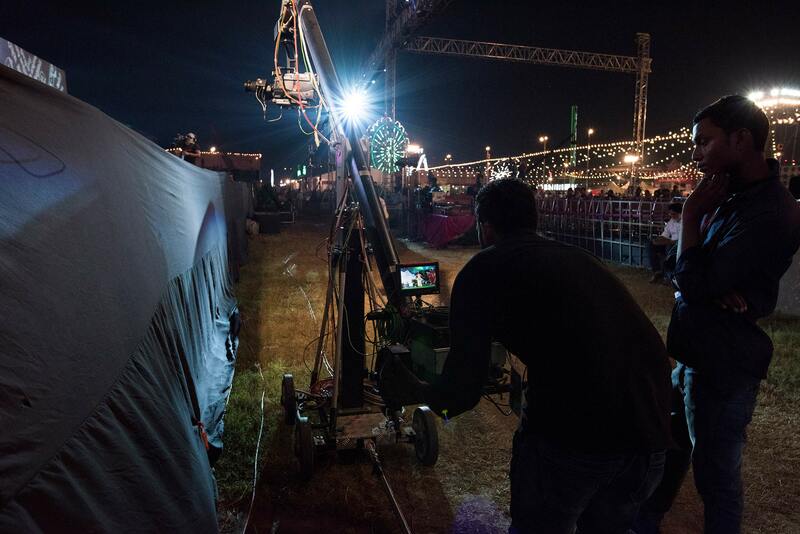 Over the years LKRC has gained immense popularity and now hosts professional film and TV artistes, while also giving young actors a chance to perform alongside stars from the entertainment industry. 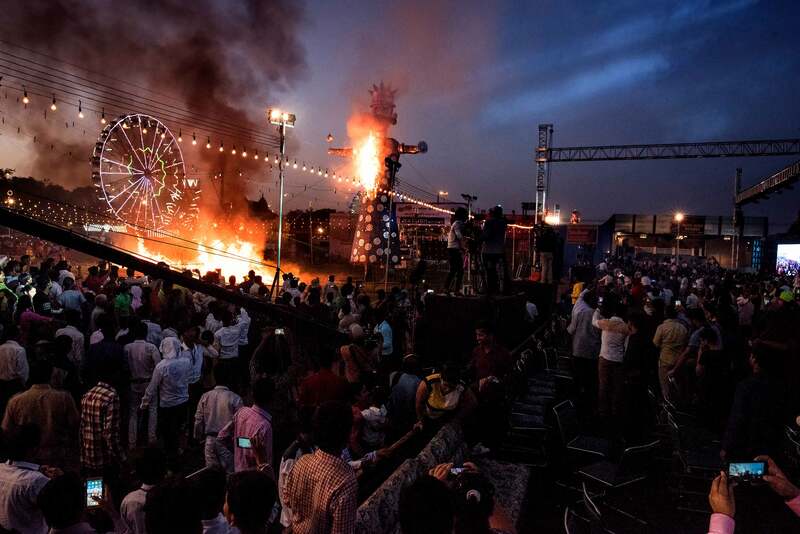 Besides actors, every year this event gives employment to hundreds of other professionals, like tentwallahs, craftsmen, pyrotechnicians, sound designers, lighting technicians, production designers, tailors, costume designers, dancers, choreographers, make-up artists, hair stylists, caterers, florists, videographers, film crews and photographers. 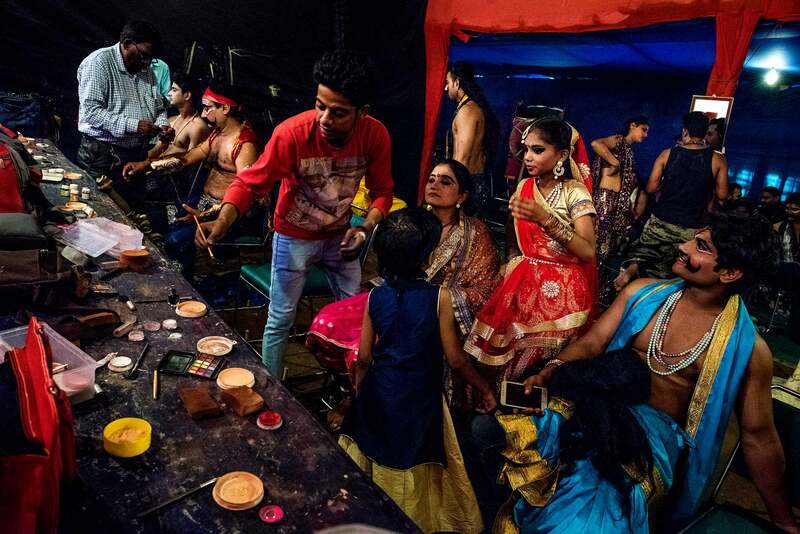 At LKRC people from different regions, castes, religions, genders, professions, all come together and contribute to a bigger cause—the enactment of the Ramayana. 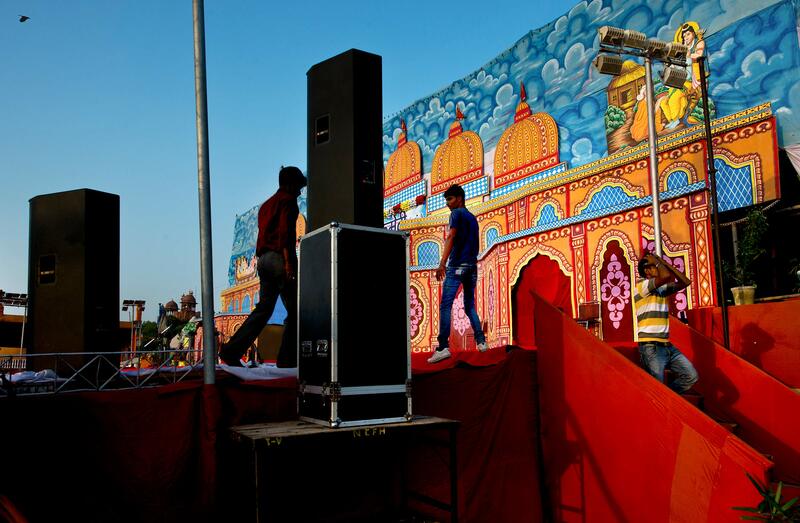 While attending any stage performance, we get engaged for a couple of hours by the dazzle of colours, lights, sound, stage and the unfolding drama. 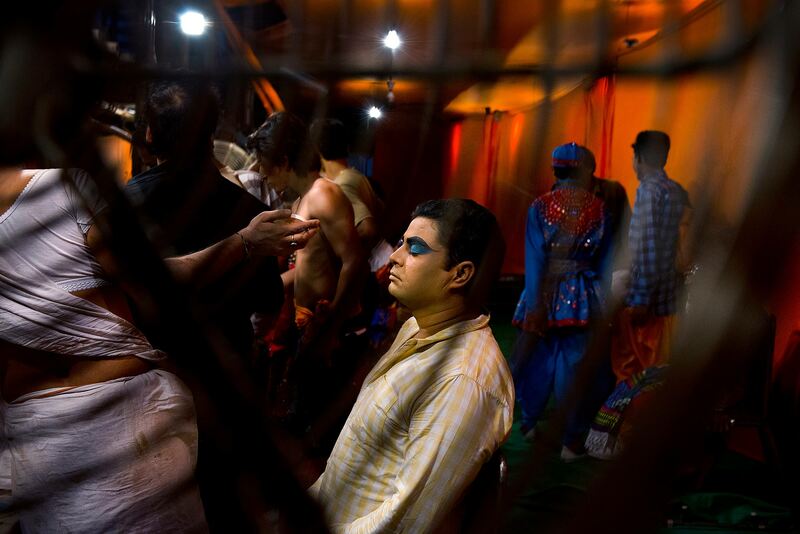 However, few explore the stories behind the drawn curtains; the nine-tenths of the submerged iceberg in showbiz called the backstage: a space which transforms actors to the larger-than-life characters they enact on stage. 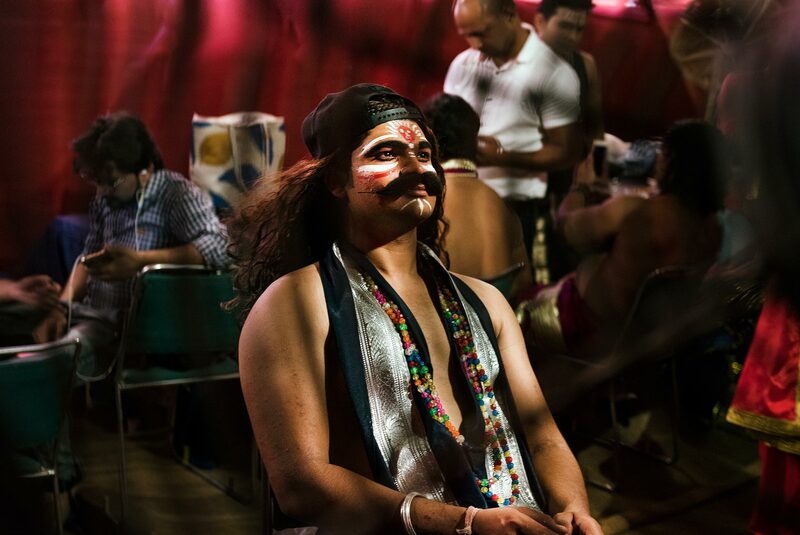 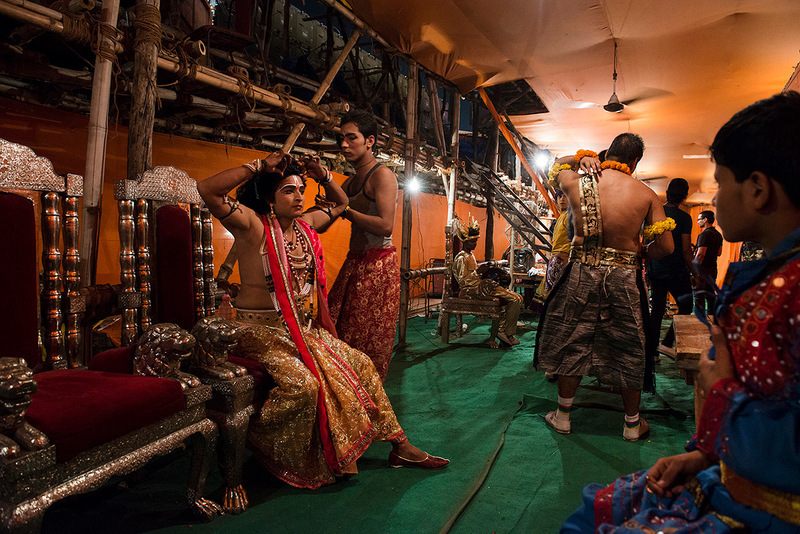 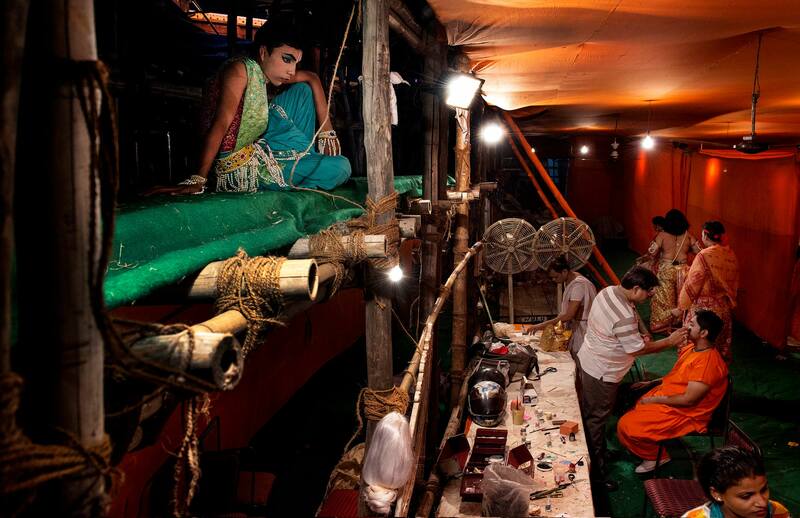 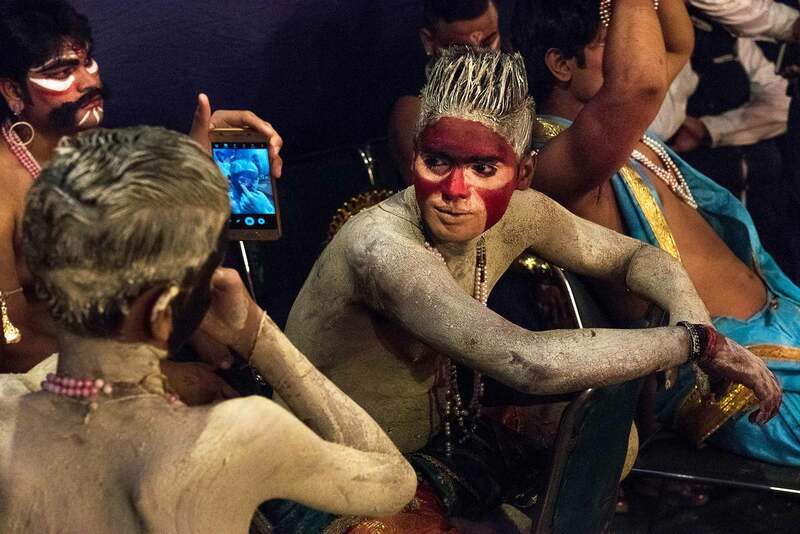 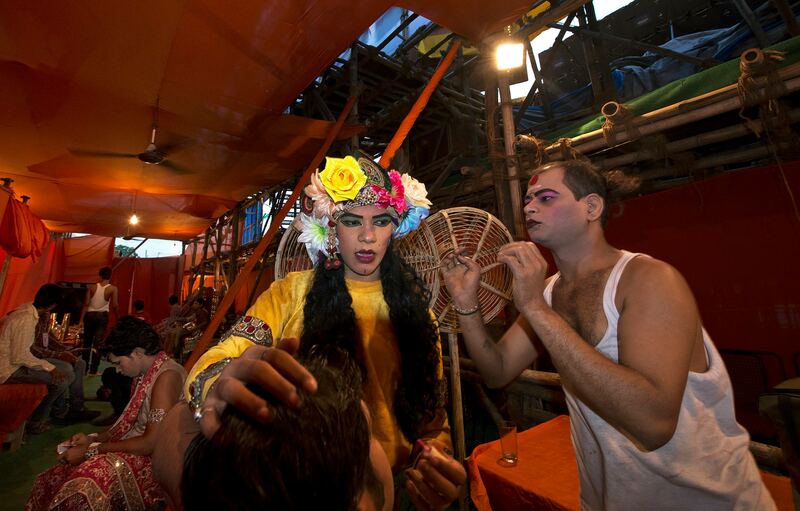 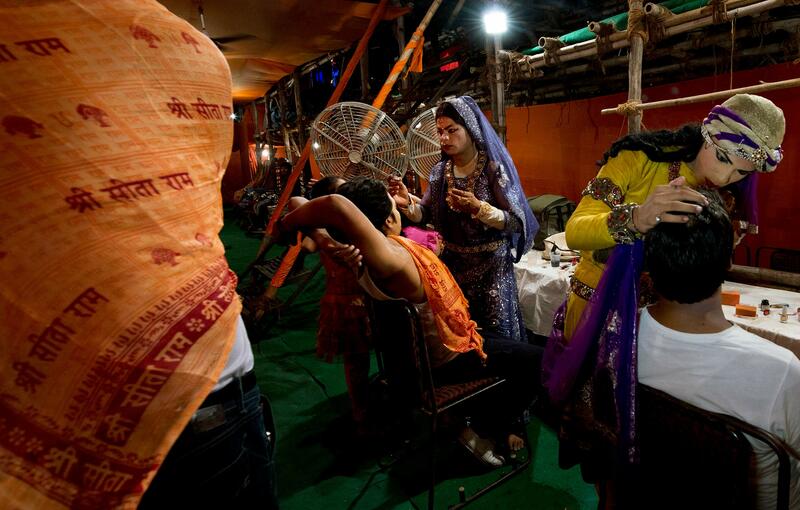 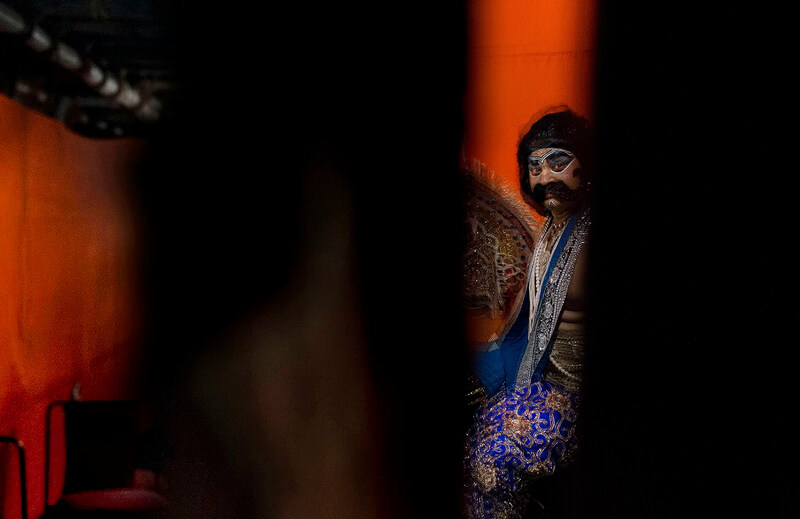 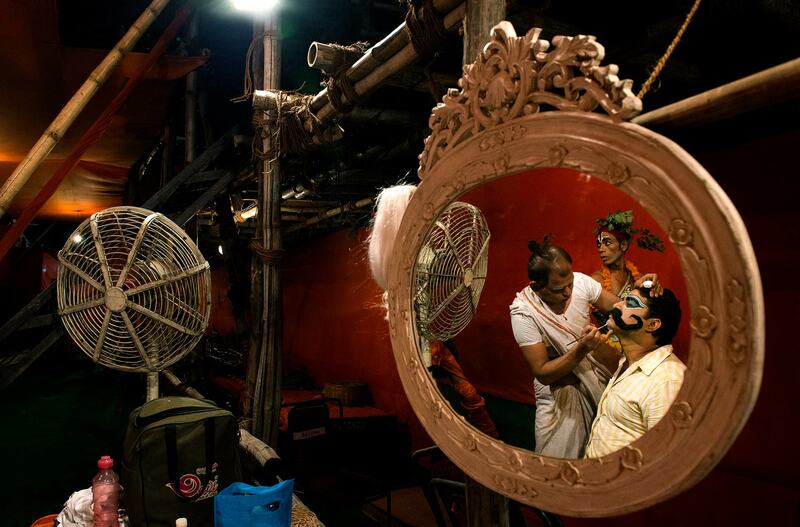 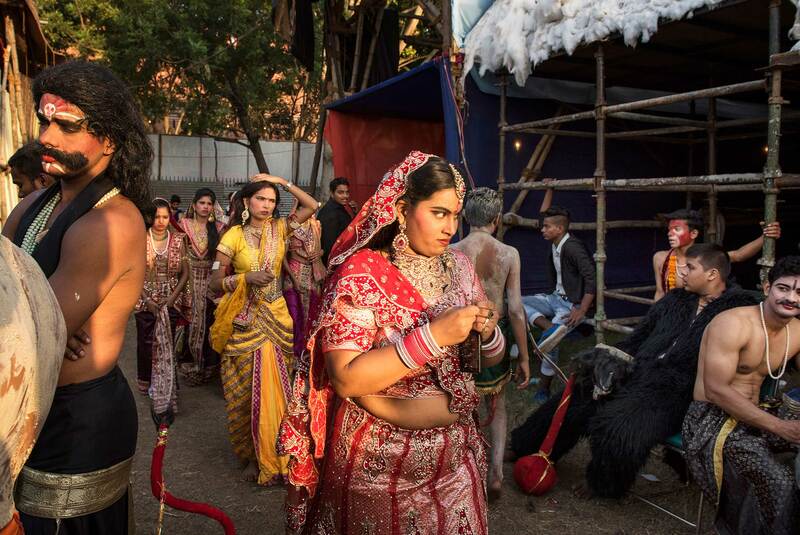 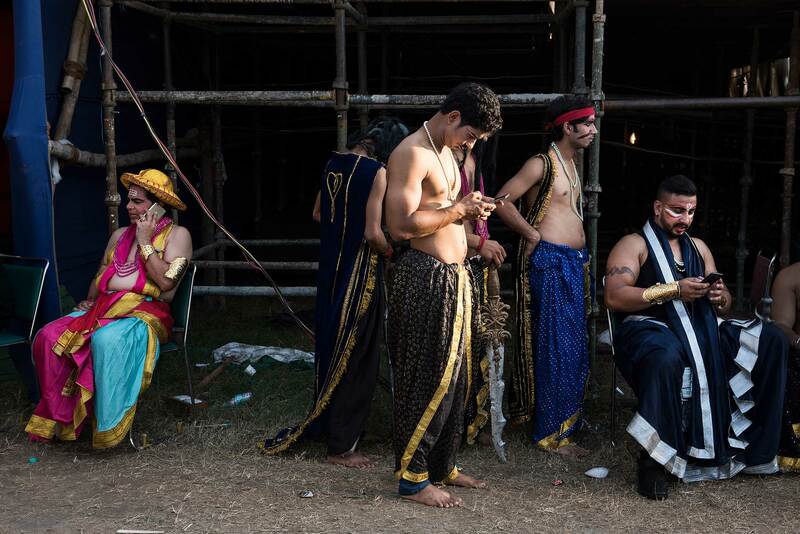 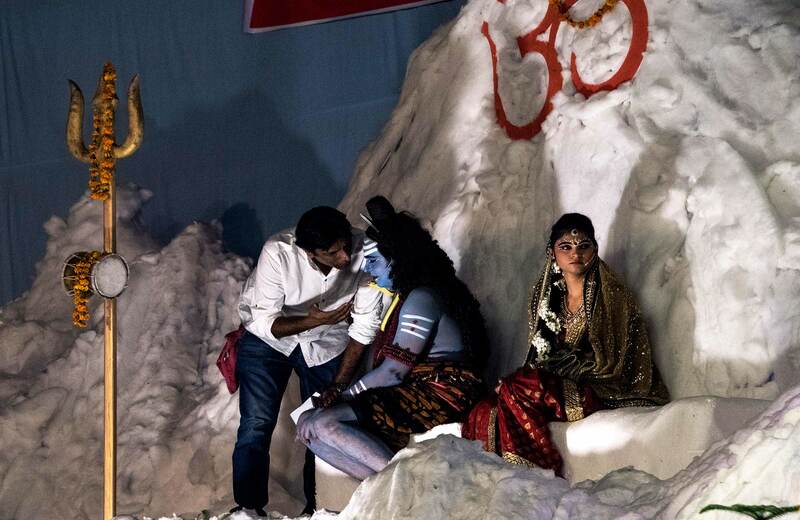 As a photographer and theatre artist, Moushumee Jha has been fascinated by the life behind the curtains of the Luv Kush Ramlila. 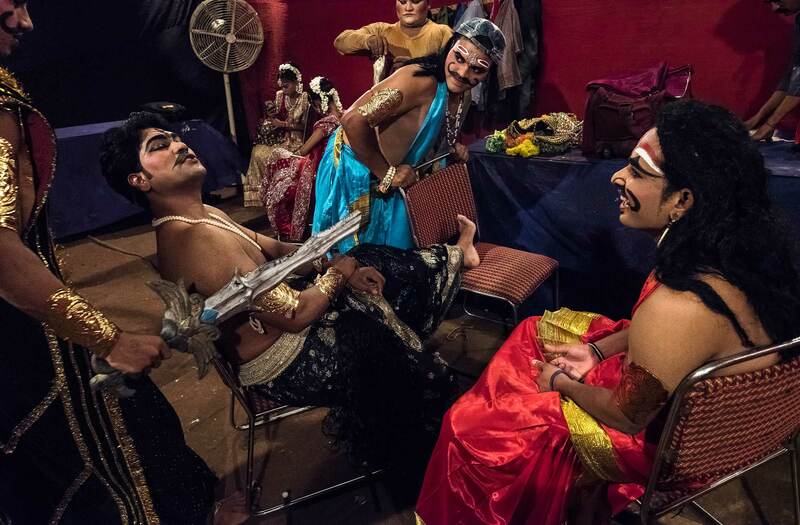 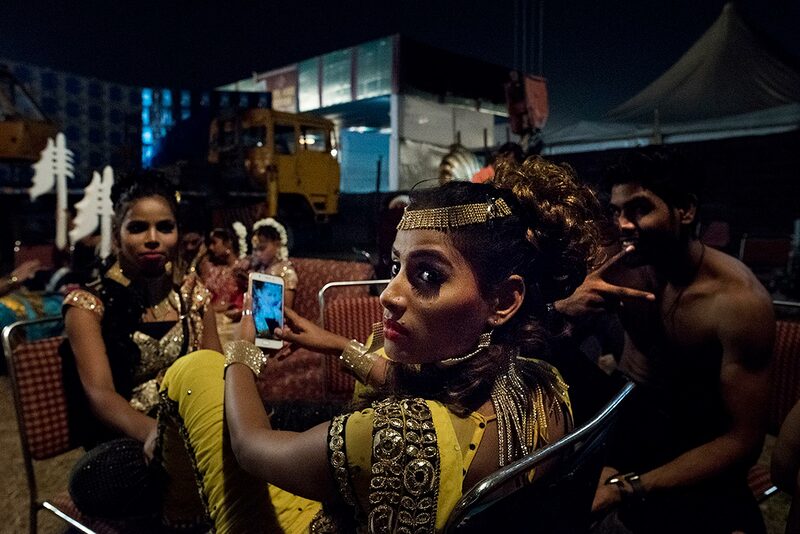 Her pictures takes you to the world backstage; documenting the camaraderie between actors, the long hours of getting ready, the nervous energy and the chaotic preparations undertaken before each performance. 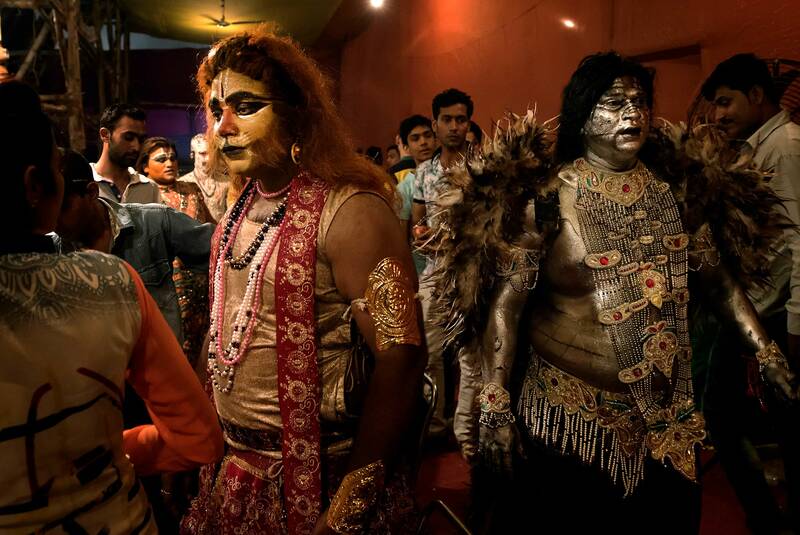 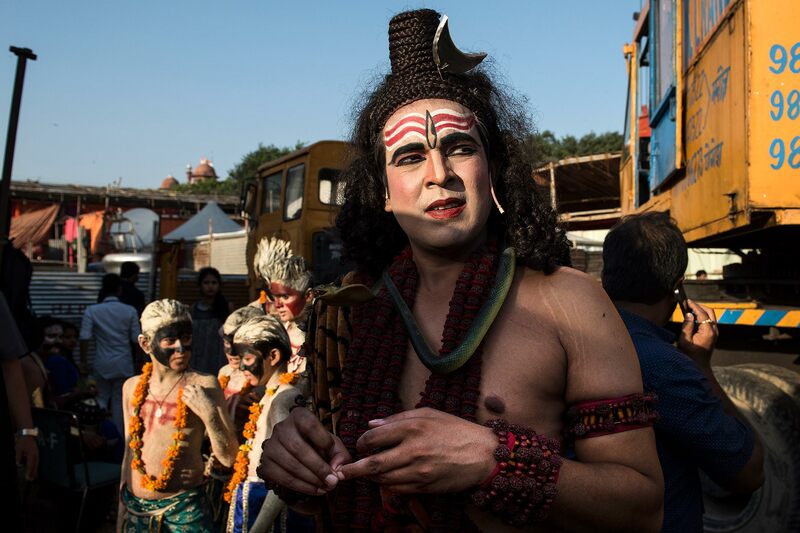 We get to see the human stories of the actors who are mostly aam aadmi, with very regular day jobs, but participate in the Ramlila for the love of acting. 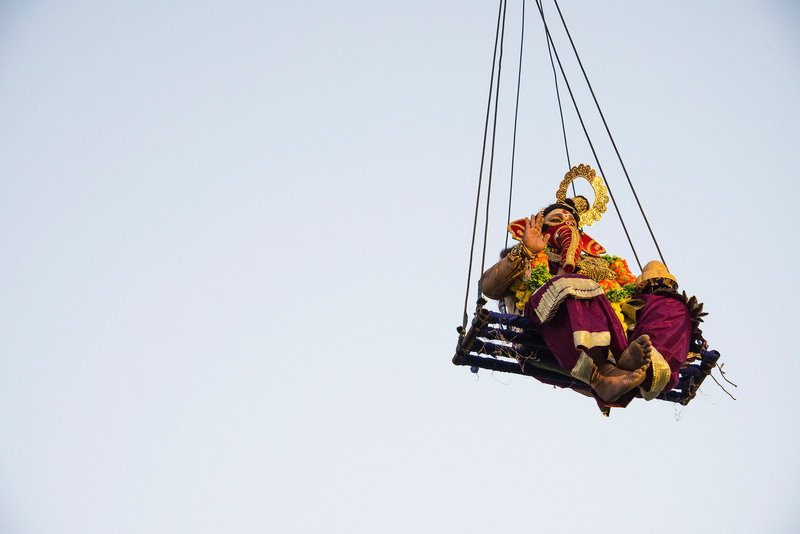 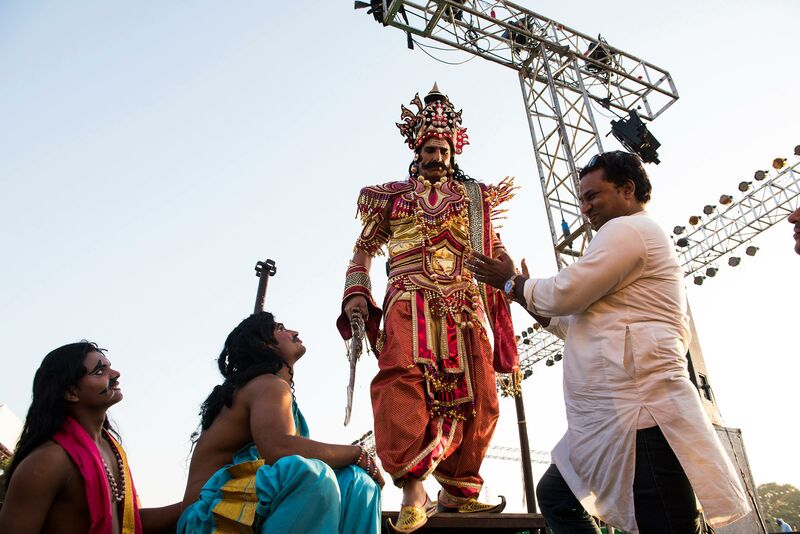 When an actor or actress puts on the crown and transforms into Lord Rama, Hanuman or Sita, the cast and audience forget their human form and bow down in the veneration accorded to a deity incarnate. 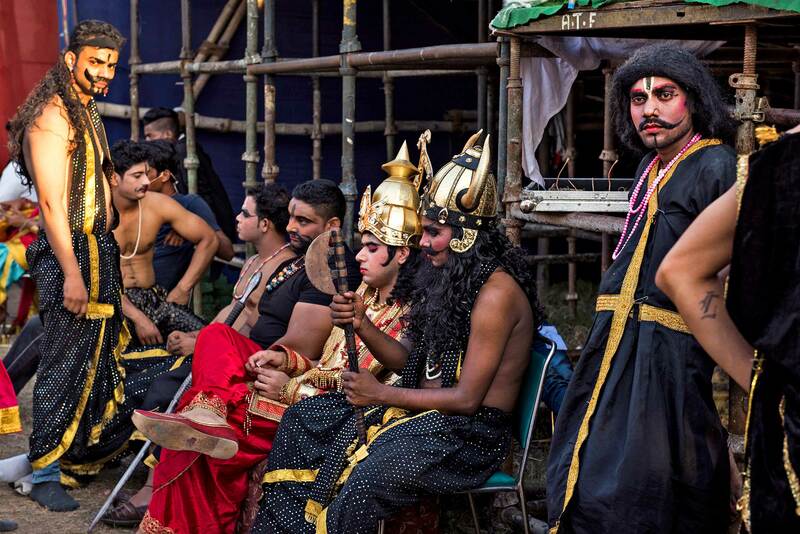 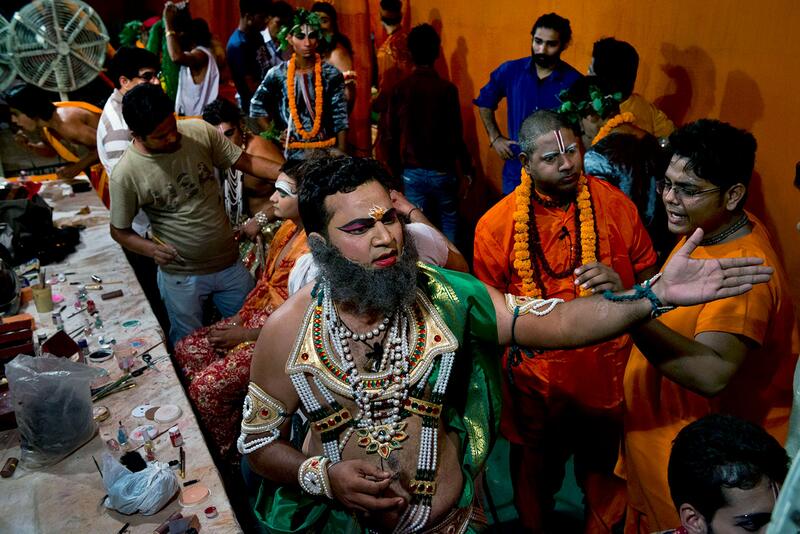 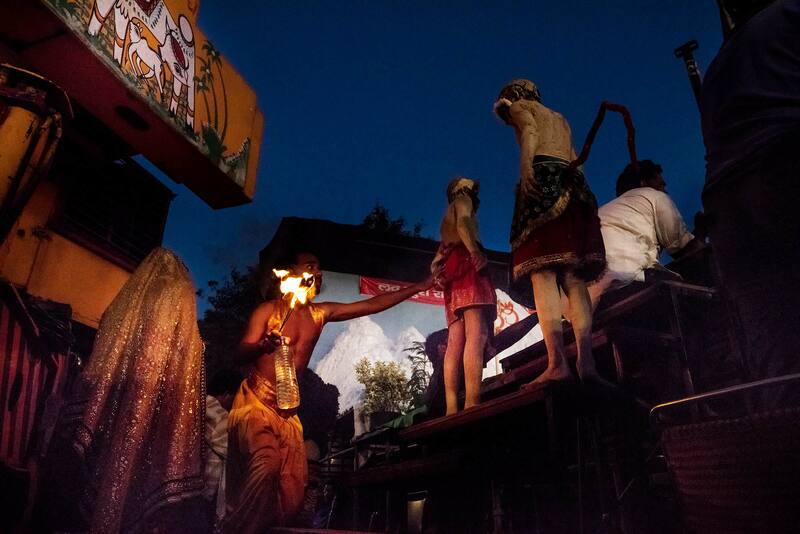 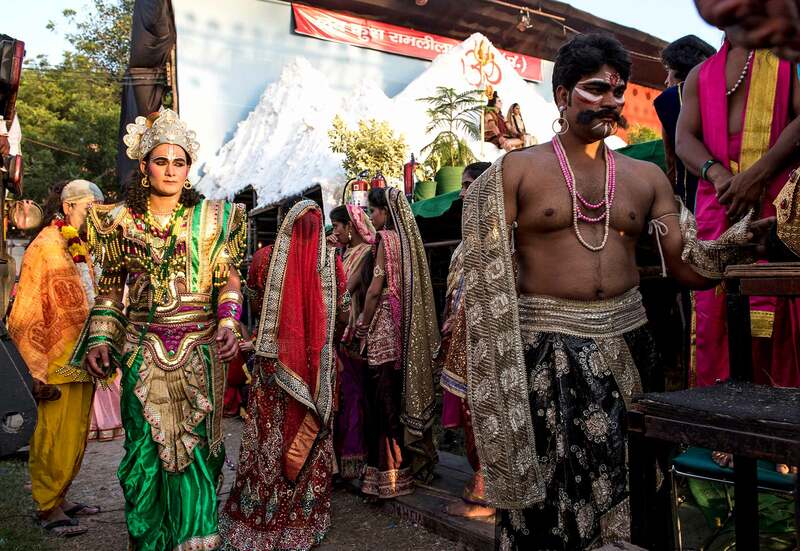 In much the same way the Ramlila is something transcending theatre and becomes a symbol of inclusion and a tribute to the universal appeal of the epic.